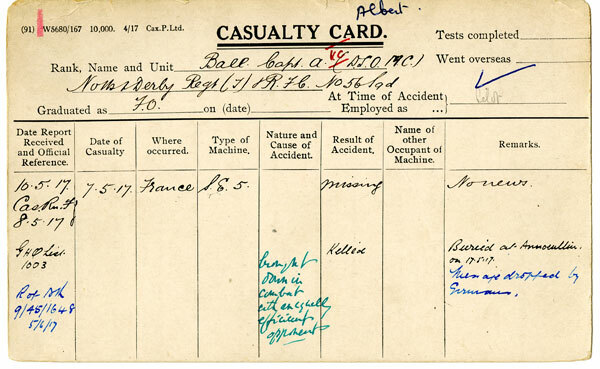 The Royal Air Force Museum, has today launched a new website, rafmuseumstoryvault.org.uk, which enables members of the public to interrogate the Casualty Cards of members of the Royal Flying Corps who suffered injury during the First World War. In addition to these records online visitors are now also able to search the Muster Roll for the RAF as drafted on 1 April 1918 and the Air Force List as of 1 February of the same year. This online resource is the culmination of a three-year digitisation project involving over 10,000 hours of work by staff of the museum who electronically preserved over 300,000 fragile records – all of which are free to examine for anyone with access to the internet. The Royal Air Force Museum’s sites are open daily from 10 am to 6pm. Last admission is at 5:30 pm for its London site and 5pm for its Cosford site. On display across both sites are 175 aircraft, ranging from the early days of aviation, through the First and Second World Wars to today’s modern jets – complemented by both static and interactive displays, all of which give added depth to the human stories so important to the history of aviation and the Royal Air Force. RAF Museum Story Vault is supported by Esmee Fairbairn Collections Fund, and the Heritage Lottery Fund.